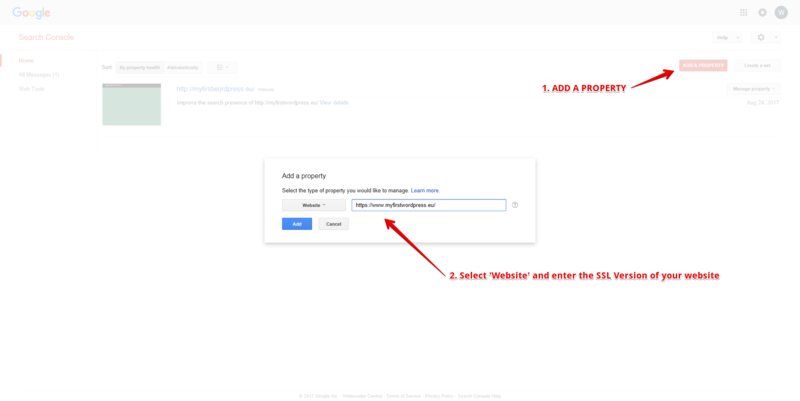 Our customers often ask how to change their Google Search Console web address, and how to change their URL without losing their SEO rankings in the process. Thankfully, it's not a rocket science; we have step-by-step tutorial for you. 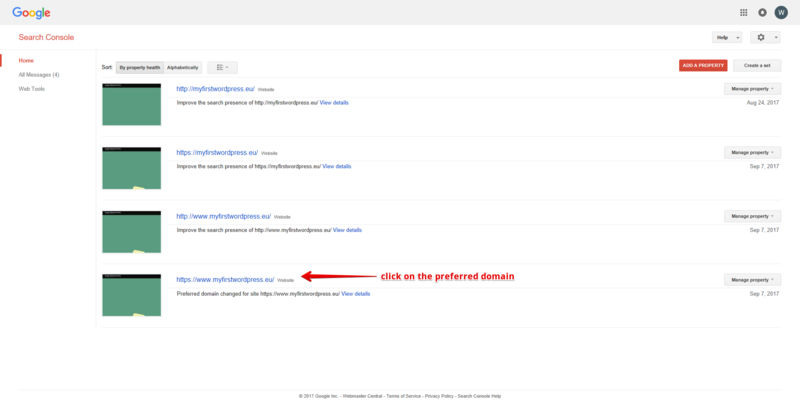 Google Search Console has a set procedure for this but adding the new domain will not be enough. 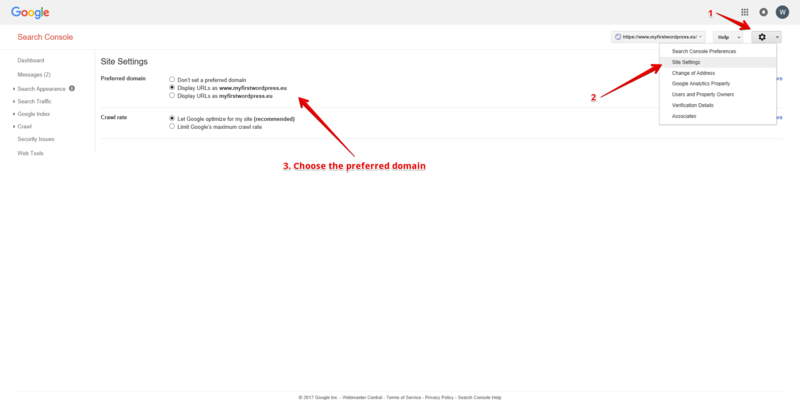 After you have selected your preferred domain, go to Settings (1), then Site Settings (2), and choose the preferred URL (3). 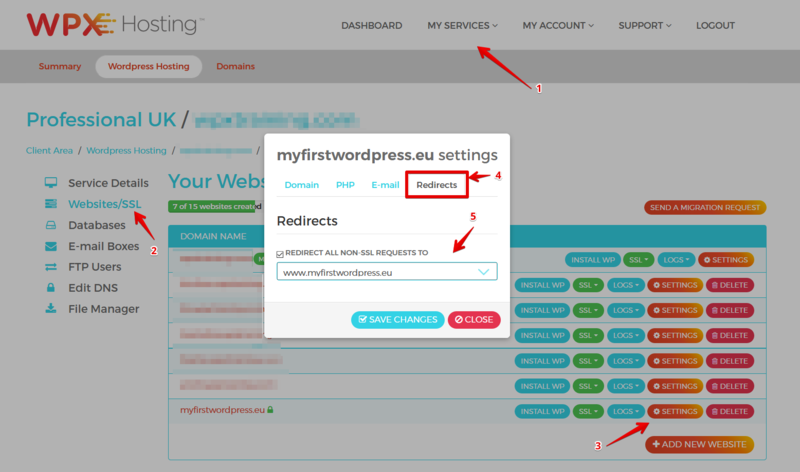 It is crucial to set up a 301 redirect to the preferred URL! 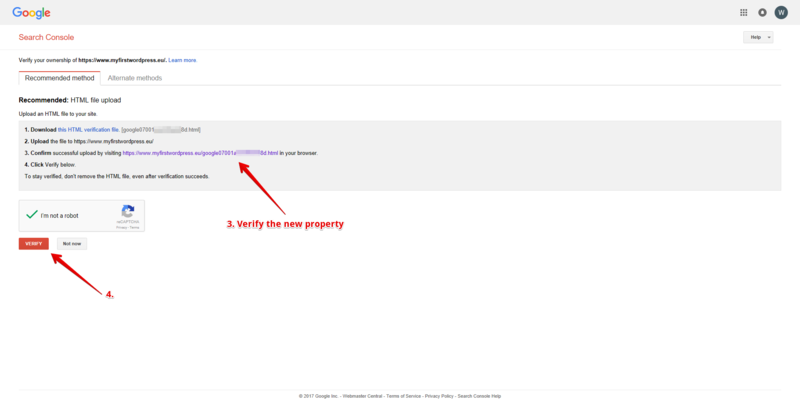 After this is complete, you will have a new preferred URL, a more secure website (thanks to your SSL certificate), and you won't lose your SEO rakings either!